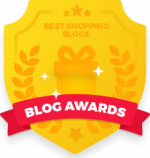 Thank you to Modere for providing me with product in exchange for my honest review. All thoughts and opinions expressed below are my own. 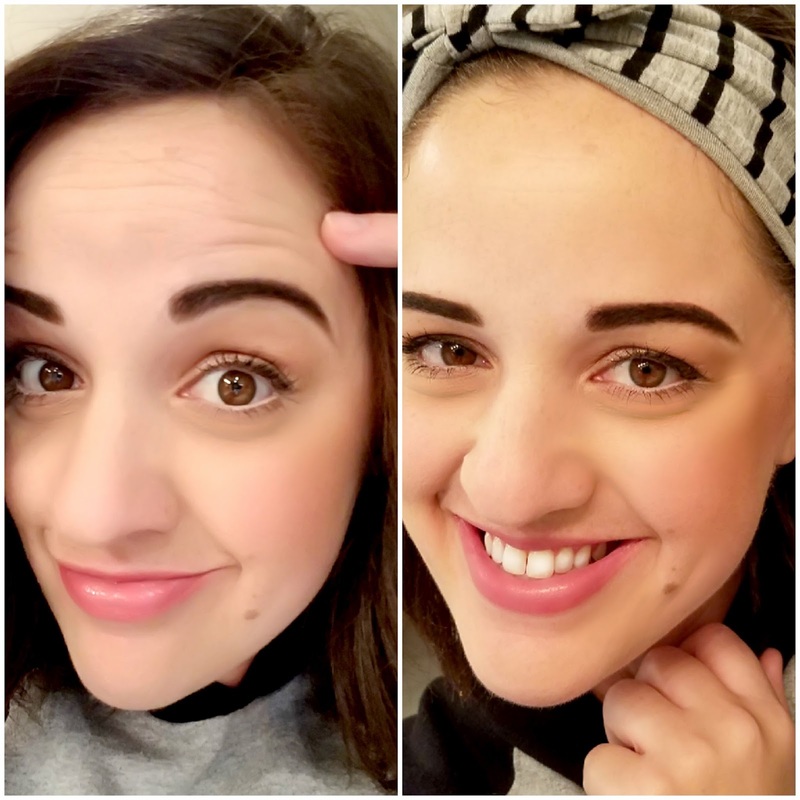 I hate to say it, but I tend to be a skeptic when it comes to products that make big promises such as "reducing the appearance of fine lines and wrinkles". At 34, I often get mistaken for a much younger gal and of course that is a huge compliment, but I definitely notice the wear and tear of life taking it's toll on my skin as I age. I was very much looking forward to what Modere may be able to achieve for my skin when I learned more about this versatile company! 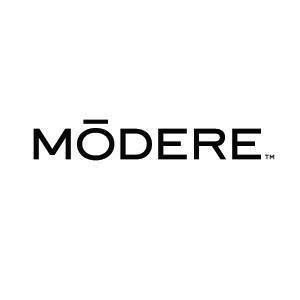 Modere specializes in such a wide array of beauty and lifestyle products that you can learn all about here, but for today's purposes, we are going to be exploring their I/D Anti-Aging System. For some, the idea of exposing their "flaws" may be daunting and downright scary, but I figure there is no better way to share what a product can actually do except to just put it out there! With that being said, continue reading for my "tell-all" before and after photos! 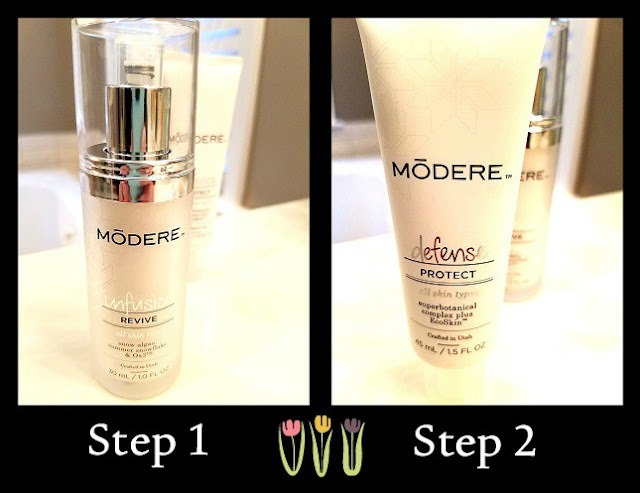 Before we get down to the business of "before and after", I would love to tell you a little more about this anti-aging system that Modere has developed. 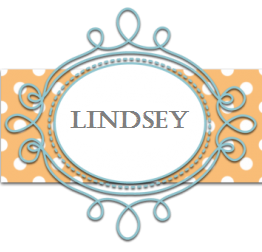 They use safe, all-natural ingredients that you can feel good about putting on your skin. I always try to steer clear of harsh chemicals, especially on my face but truly in every aspect of my health and beauty. This system has been clinically proven to reduce fine lines and wrinkles in over 95% of it's users. It also can minimize the appearance of pores in 28 days of use. OK, so what's the deal? 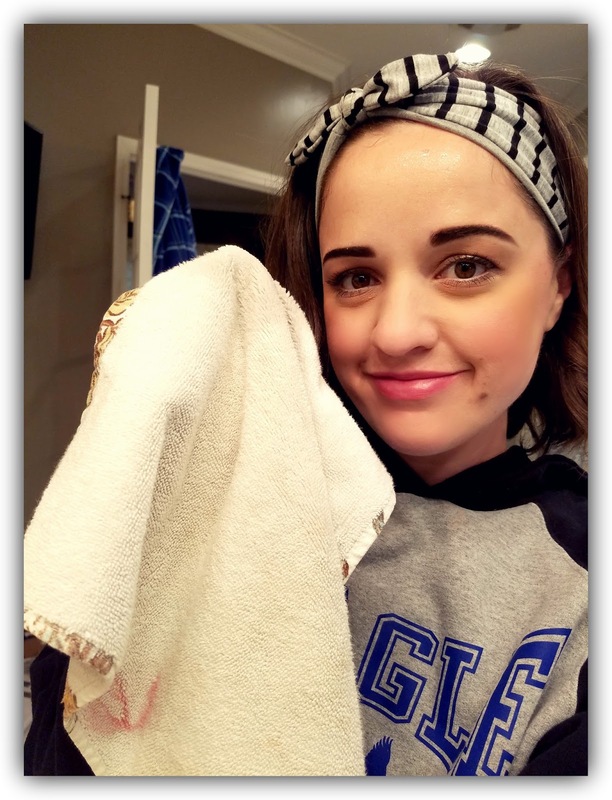 In the first picture, I had already applied step 1 and was about to rinse it off with this warm cloth. In the second picture, I was about to apply step 2, a light moisturizing cream. 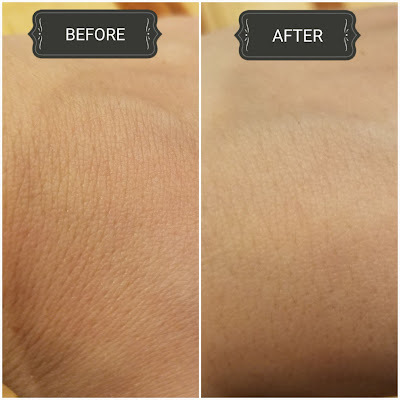 In the pictures below, you will see multiple before and after shots in different angles and in different lighting so that you can get a real sense of the effect this product produces. I want you to keep in mind, these pictures are after 1 application of the I/D anti-aging system and with this being the case, I can only imagine the effect on skin within a few weeks! 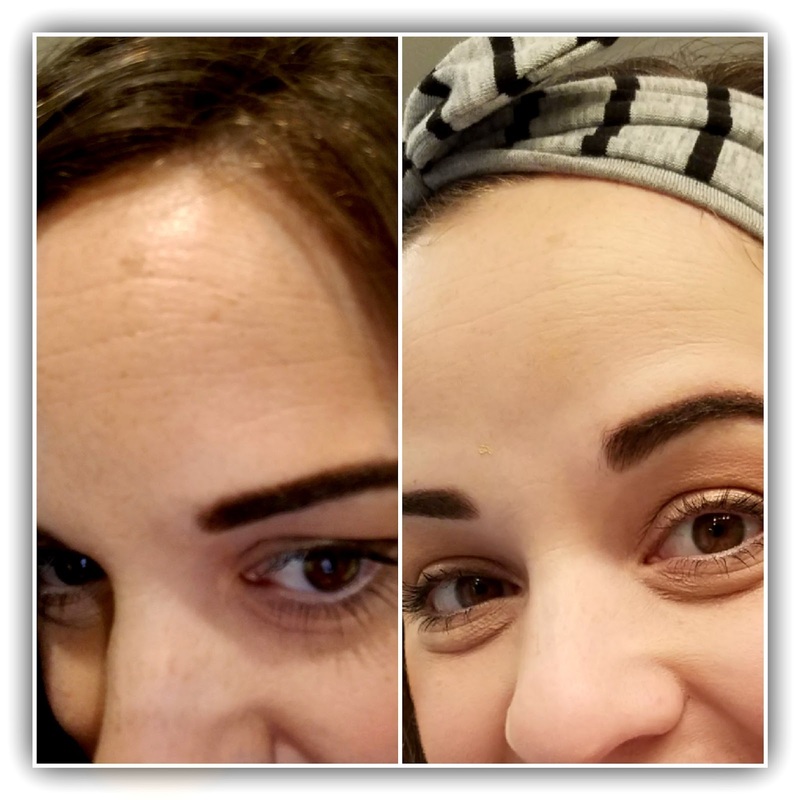 On the left, my forehead (the only location I used the products) has more wrinkles that are more defined than on the right. They appeared fewer and lighter after using Modere I/D. I can tell the difference straight away! 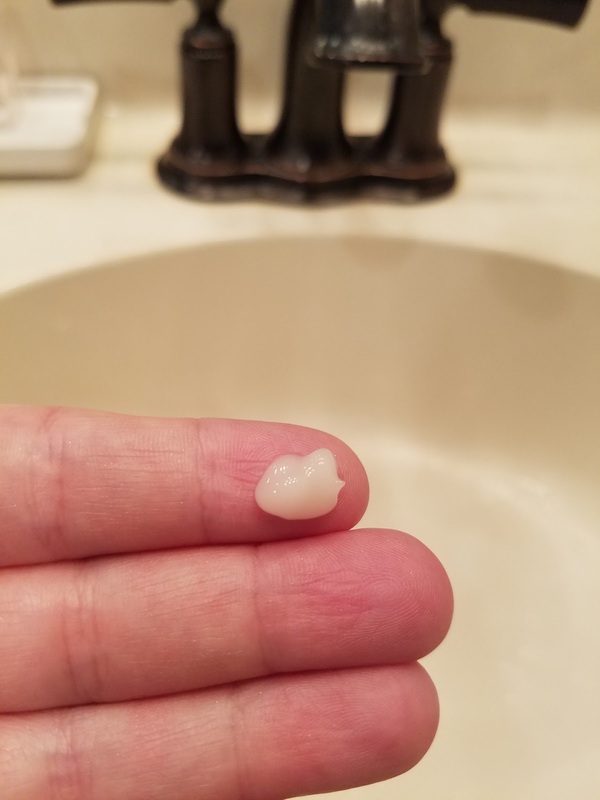 My skin is taught, smooth and looks years younger! 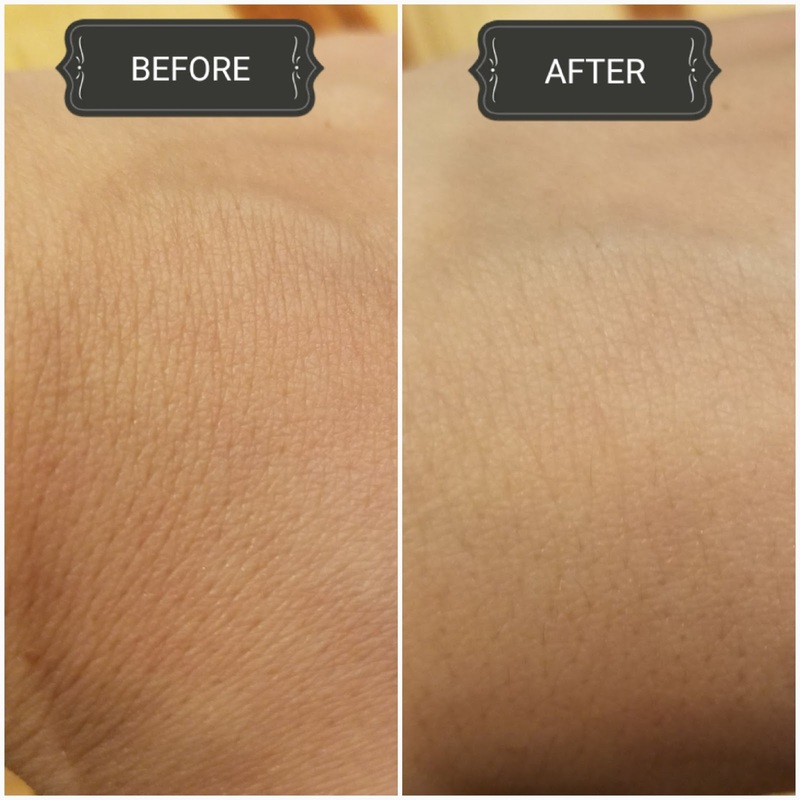 This is the exact same spot on my hand, directly after one use. I snapped these pictures with my cell phone and was curious about the result I would see. My husband was even surprised when I showed him the difference! My skin became taut and smooth so quickly. It's like an immediate face-lift for my hands! 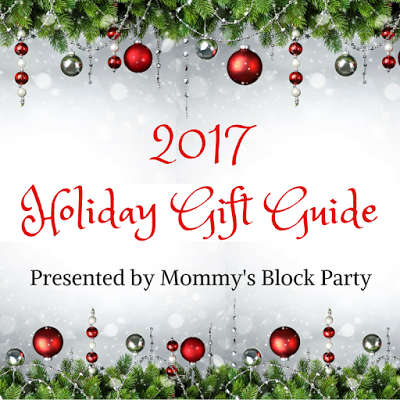 Thank you to Modere for providing me with this opportunity to review their products! Wow! You can really see a difference. it looks like it works great! Hey!! It seems great. I had never tried this product but after seeing the results, I would definitely give this a try and I hope so that it would be helpful for me. Hoping for the best. Now a days the product which I'm using is also great and very effective. I would like to share this products info with everyone so that they can give it a try, dermology anti aging cream it is also an effective anti aging cream. 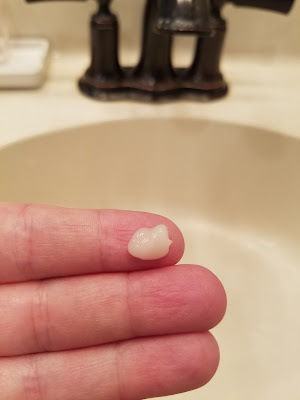 This serums improves the uneven skin tone and lightens dark spots. Your skin is going to be there for life. So you might as well take the time to get to know it. Every single skincare aliment has some product on the market but generally identifying your skin type will help point you in the right direction. This way you know the type of products that are designed for your skin type and what ingredients or product types work best for you. Like the way I know that revitol anti aging cream is my product.